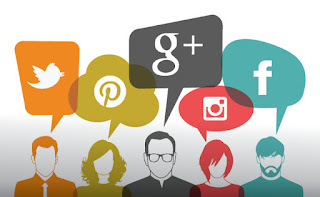 Social media present great promoting opportunities for businesses of all sizes. Whether you use it personally or not, there's no denying that social media is a big factor in advertising your business today. It is an inexpensive way to promote your website. It provides a cheap and effective marketing tool for small businesses too. Nowadays it is difficult to operate in the business world without the help of social media to promote your business. Before going to know about how to promote your business through social media we have to learn about social media marketing. Social media marketing refers to the process of gaining traffic or attention through social media sites. It is also considered as use of social media platforms and websites to promote a product or service. 1. Having a clear understanding of your market. i.e it includes knowing their pains, problems, challenges, and most impressing questions to position your content as the solution. 2. Sharing your blog content on your social sites. It drives tremendous traffic to your site, improving your SEO ranking and expert status. 3. Using live-streaming platforms like Facebook Live, Periscope, and Instagram Stories, are nice assets to your social strategy as you’re able to connect directly along with your followers and catch their attention right within the news feed. 4. Post an image along with your words. Strange but true: you’re a lot of likely to get a response to something on Facebook when you post a picture along with your words. Encourage your fans to love and share your stuff! Facebook simply enforced a new algorithm that may repost a link each time someone comments on it. 5. Give your social account an additional reliable look by boosting your social presence. If you'd like your words to listen on social media, you've got to possess a social proof that is strong enough to get people’s attention and even their trust once they first see you. It’s like putting the first important bricks to your promoting campaign. 6. Increase Exposure of Your Social Media Sites. You likely have buttons linking to your social media accounts at the top of your website, that could be a good way to get the word out. 7. Set the goals you want to achieve via social media. Having an idea that incorporates the frequency of content and the intended company voice can better position you for success. 8. Track your success. Business owners can track their social media promoting success by using available tools on-line like Google Analytics. 9. Introduce your business on Reddit, Snapchat, Periscope, Tumblr, Google Plus, Instagram, and more will open up doors for your brand awareness along with Facebook, Twitter, and LinkedIn accounts. 10. Run a contest to help build more of a following on all social media sites. These practices mentioned are just a brief overview of the possibilities social media holds for any business. You can hire an experienced Tech Resource to handle all your social media tasks. I cherish seeing sites that comprehend the benefit of giving a quality asset to free. It is the old what circumvents comes around schedule.